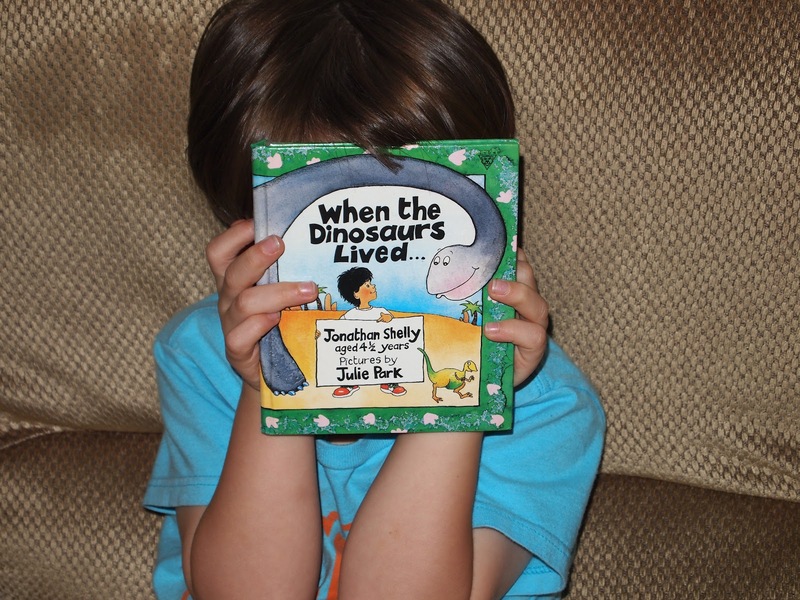 The story: Jonathan Shelly, at four years old, was a great expert on all things dinosaur. In this small book, he regales us with the opinions of dinosaurs on crucial topics such as television and footwear. He also reveals the reasons he really loves dinosaurs. Mama opines: Jonathan Shelly was four when he wrote this book. I was four when my dad got it for me. 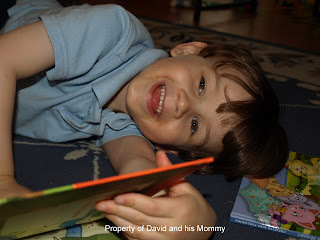 David is four now when we are reading it. It's good stuff, don't you think? This book is adorable and really shows what little kids find important about dinosaurs (they couldn't read and oh...they are extinct and can't chase the kids!) I love the idea that his parents really encouraged him to take his passion seriously at the age of four and I am so supportive of a publishing company that actually put together the thoughts of a four year old on a topic that small people love so much. Thoughts from David: I like it because dinosaurs can't bite us! I like that dinosaurs were alive and they don't have shoes or TV. It's kind of silly. Favorite part: That they don't have telephones because they are loud. Roar!!! We are off to the pool. Happy Reading!